In his series "Gates," Ben Cowan paints familiar landscapes that invite us to explore what is beyond plain sight. His intimate paintings juxtapose the natural with the constructed and invite us to consider all of the forces at work in their creation. Each painting solicits our attention and limits our view with its boundaries, allowing us pause to contemplate the crossing of the threshold. Opening Reception is free and open to the community on March 6, 2018 from 6:30 p.m. - 8:30 p.m. in the Gallery at W83. About the artist: Ben Cowan was born and raised in Ann Arbor, MI by a creative and musical family. He received a BFA from the School of Art Institute of Chicago and an MFA from Indiana University. His painting reached a turning point during a residency in Umbria, Italy through the exposure and study of its historic vistas. The visual landscape and character of his immediate surroundings has since remained an inspiration wherever he calls home. 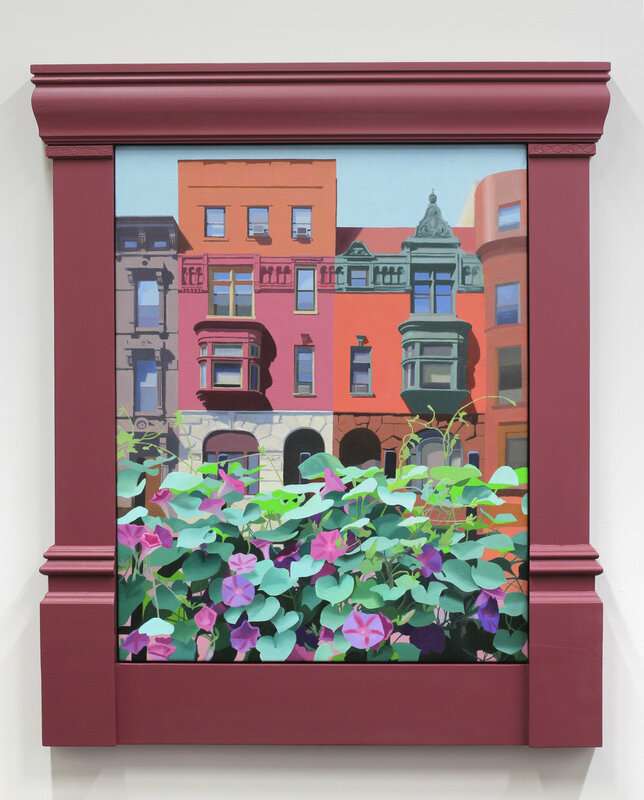 Ben currently lives and works in Brooklyn, NY creating paintings of familiar urban sights cropped, collaged and simplified in order to capture a concentrated experience that refers to the interpersonal and supernatural. His work has been shown in solo and group shows throughout the U.S., including New York City and Chicago. In addition to painting Ben is an active member of the curatorial collective Ess Ef Eff. Ben’s work can be seen in private and public collections including Ann Arbor District Library in Michigan, The Racquet Club of Chicago and The Renwick Hotel in NYC.